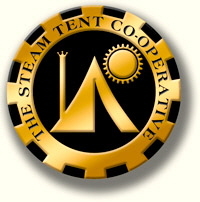 The Steam Tent Co-operative - Nemo's Cabinet. 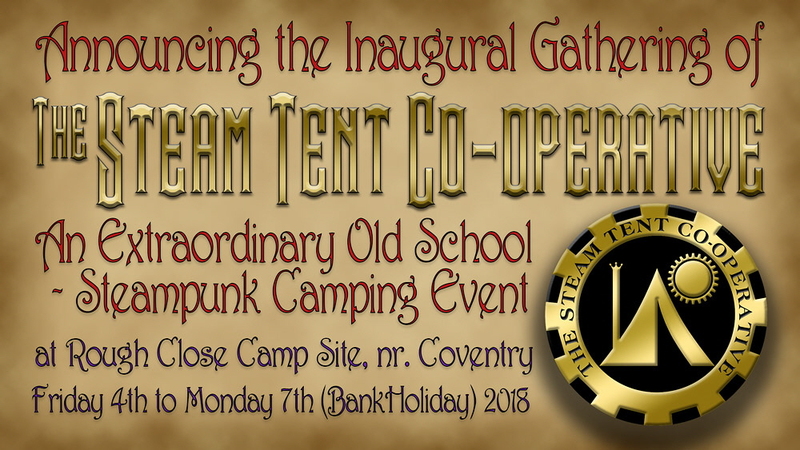 A co-operative group interested in camping and outdoor life with an old school / steampunk twist. 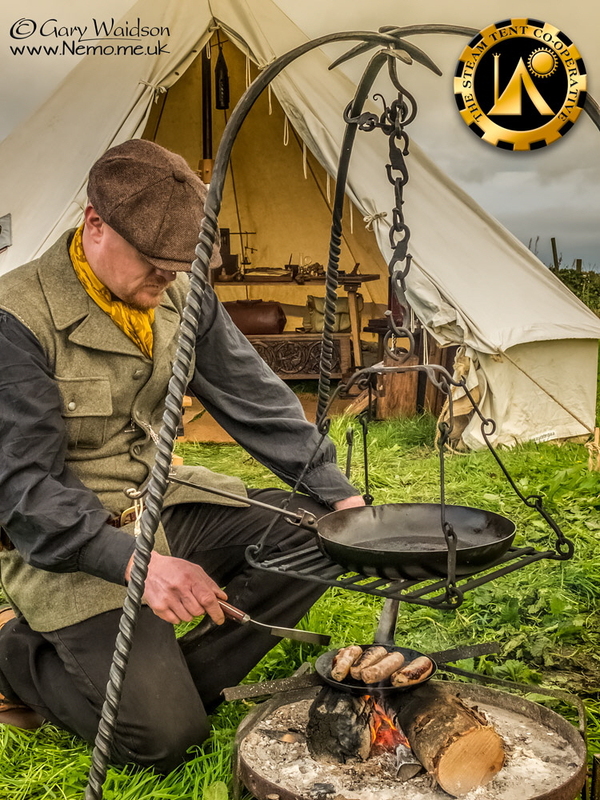 I’ve spent a good deal of my life under canvas from backpacking and bushcraft to festivals and living history camps. I believe the camaraderie of the camp fire is hard to beat and I think there are others out there that feel the same. 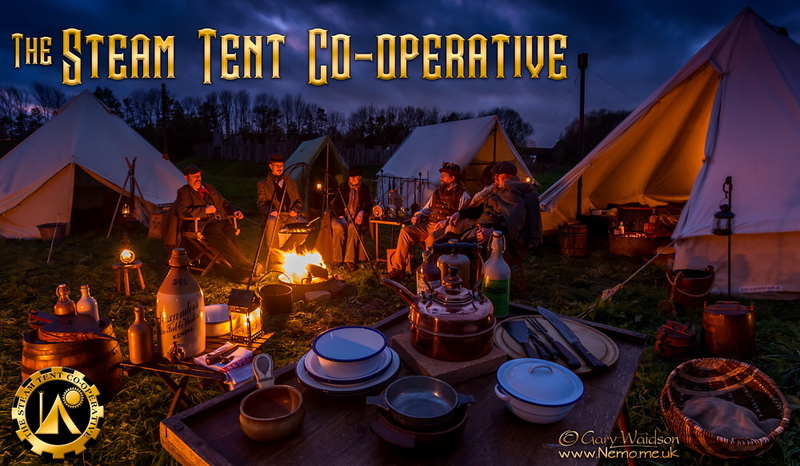 As with many of the best ideas the Steam Tent Co-operative is a simple one. 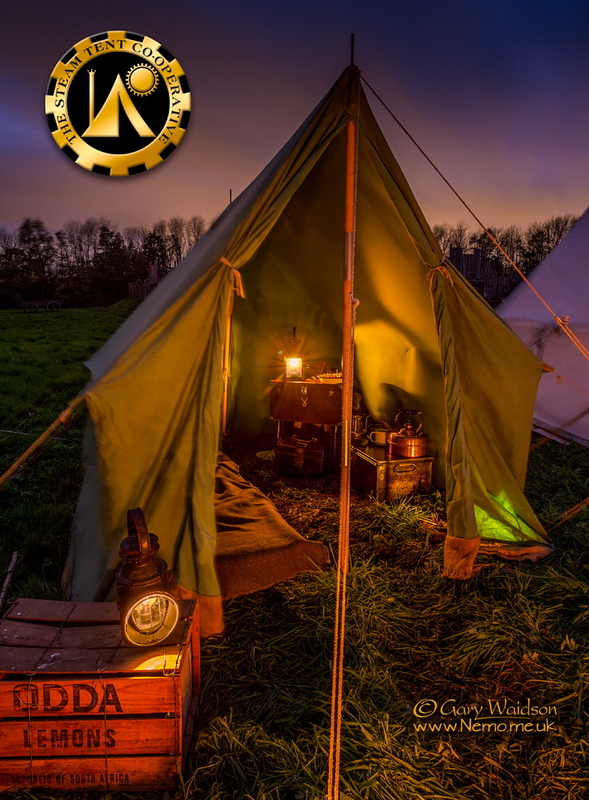 we take a group of people interested in camping with an old school / Steampunk twist, we find a site where we can camp and we get together and set up an encampment a little less ordinary. 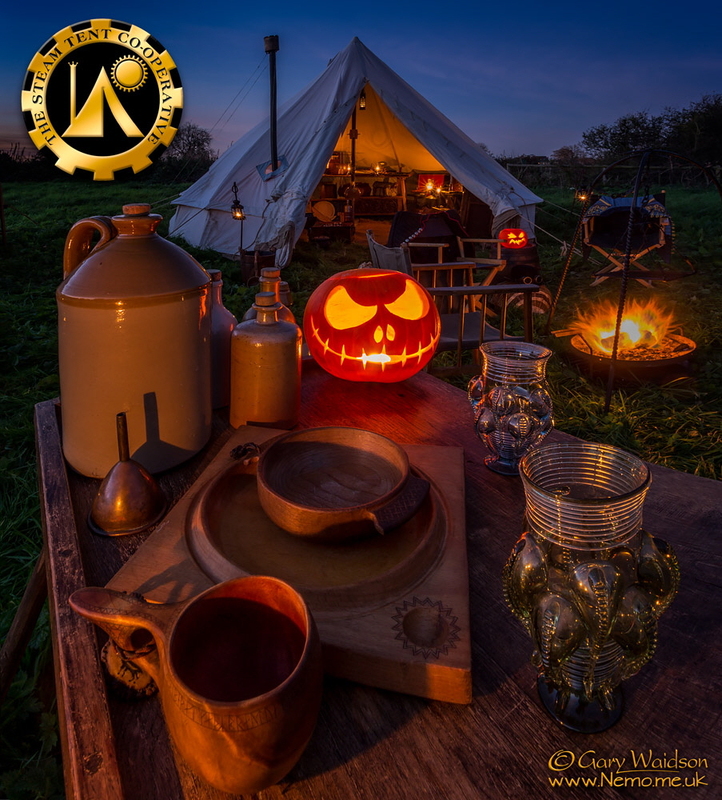 We are planning some out of season photo shoots which members would be very welcome to join us at but our first proper camp with full facilities will be on the early May Bank Holiday of 2018. We hope to see you there. If you are interested, visit the FaceBook group page where these events will normally be co-ordinated or you can drop me a line for more information here. Of course, putting such ideas into practice if often not quite so simple but with the right people, willing to work together and give it a go, we might just be able to create something extraordinary. I know it is possible because I have worked around living history displays, put on for public events for well over twenty years. The big difference with these events is that they will be organised for ourselves. No public to entertain, no clients to satisfy, just us enjoying what we do. 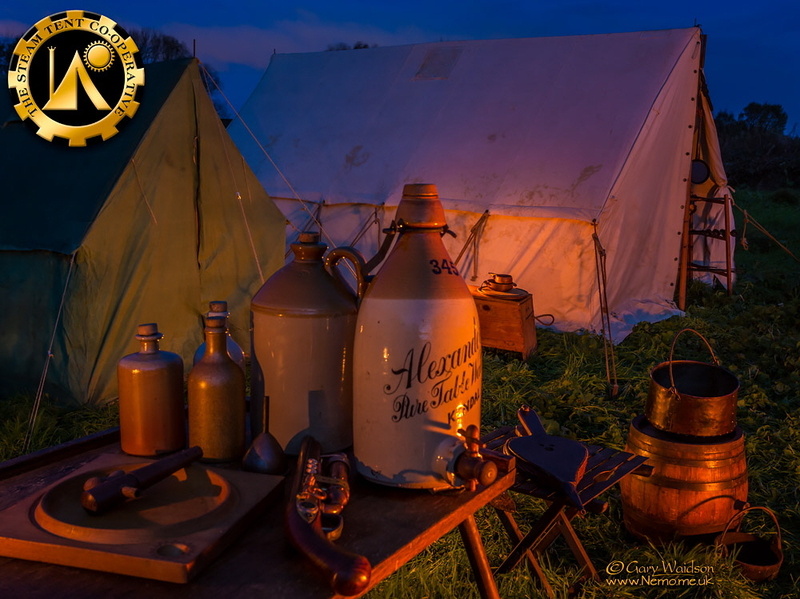 Old style canvas tents are obviously an ideal choice for these encampments but we would certainly consider other modified tents, vans, trailer tents, as long as they were in an “Steampunk” or “Old school” style. Creativity will be the key. 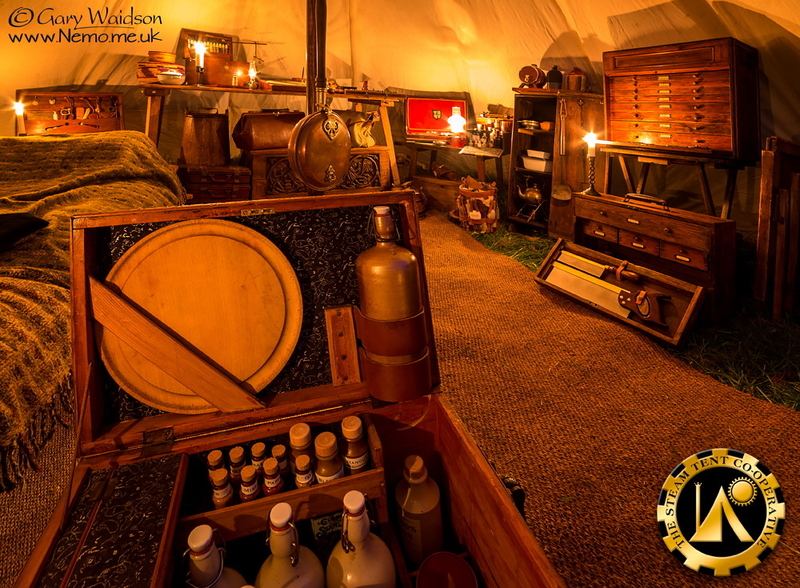 On some camp sites it may be possible to have a separate “plastic” camping area for modern tents which would allow interested people to join the camp life without the full investment that having old style canvas requires. Old hurricane lamps are cheap and safe. 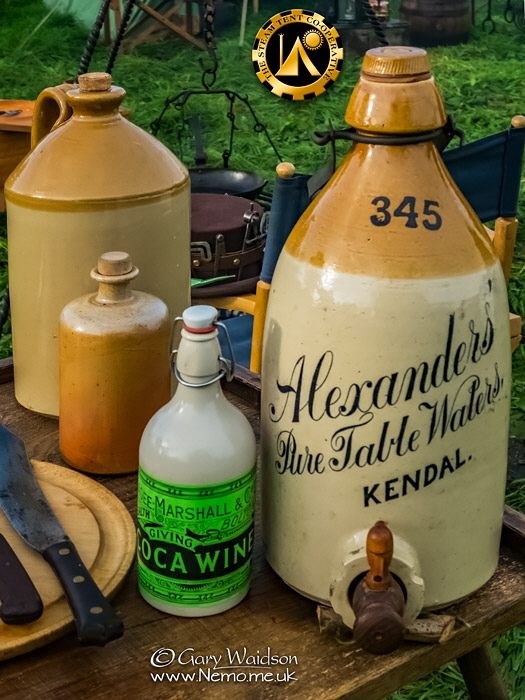 They can often be bought for peanuts at junk sales but the light they give is very effective and doesn’t destroy everyone’s night vision like a torch or electric lantern does. The important thing will be building and maintaining a atmosphere and that will require co-operation from all involved. 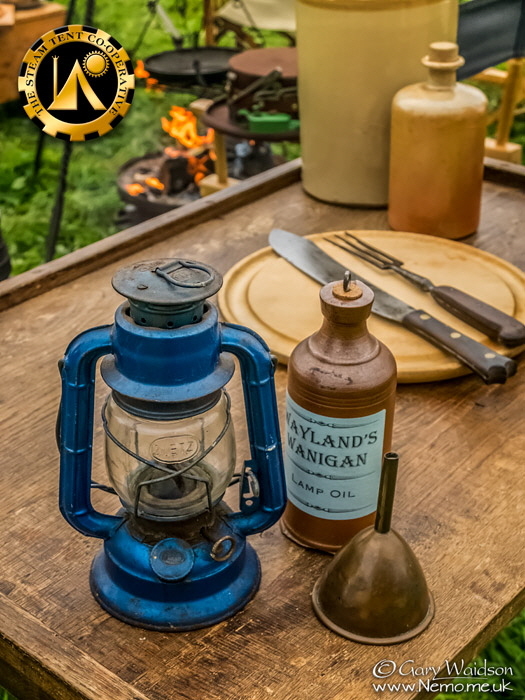 We all know we have to buy and transport our food in plastic containers but it doesn’t take much time to transfer it to an enamel plate or dish in the privacy of our own tent before carrying it to the fire side for cooking. 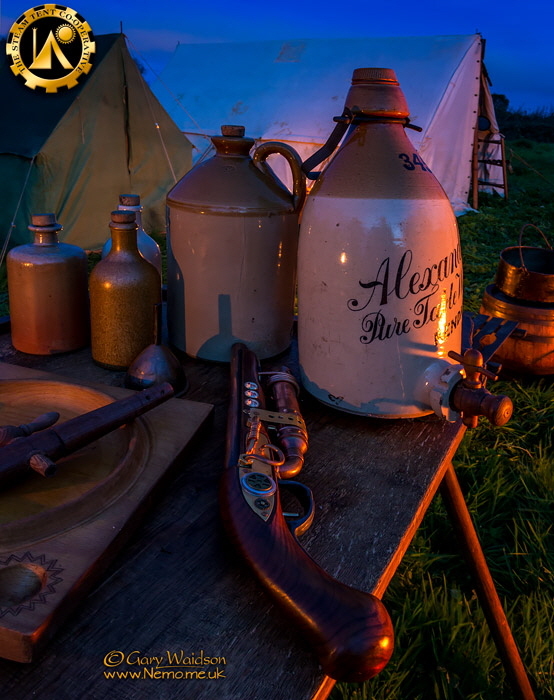 Likewise, pouring our beer into a tankard or getting some vintage bottles for our evening tipple is not too difficult to do but it maintains the atmosphere that everyone can enjoy. 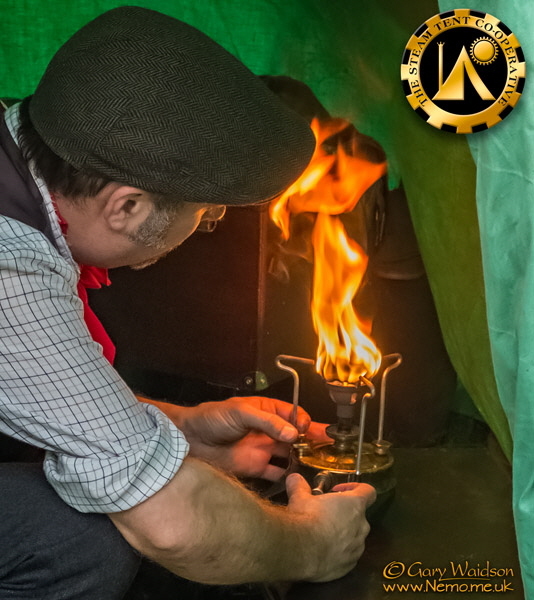 Cooking over an open fire may suit some but for others it may be a chance to dust off that old Primus stove for a brew up. 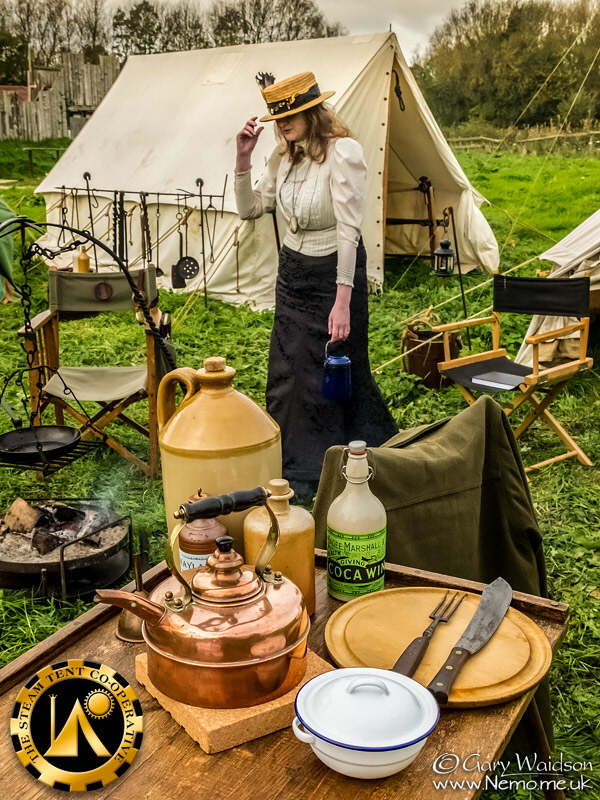 Everyday Victorian / Edwardian clothing is very practical around camp but you may want to consider just how safe a ball gown is around an open fire. We should have plenty of water buckets around if they are needed but we would prefer that people did not require dowsing. 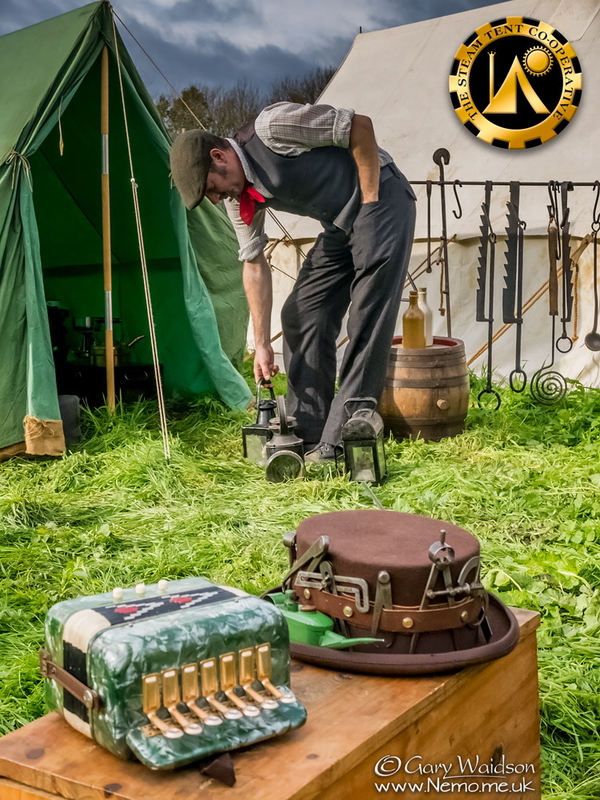 Between us, we already have much of the communal equipment we might require but much of it can be found at boot sales often perfectly usable or sometimes in need of just a little restoration. 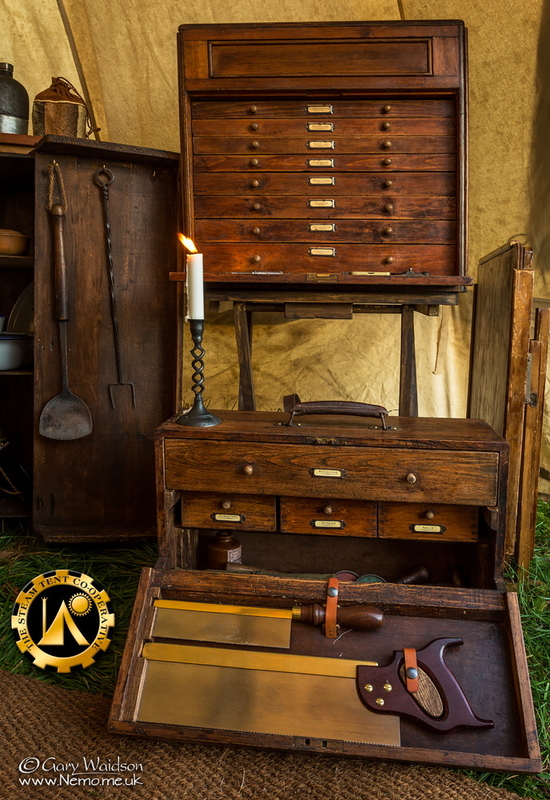 Dressing out your own tent may be just the excuse you need for rummaging around your local antique stores or building that project you have in your mind but don’t know where to display it..